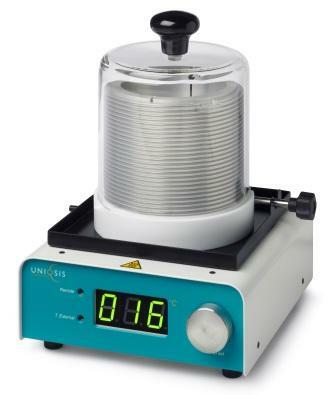 The HotCoil™ and the new HotChip™ reactor modules from Uniqsis provide cost-effective and easy-to-use additions to your flow chemistry system for a variety of heterogeneous and homogeneous reactions. 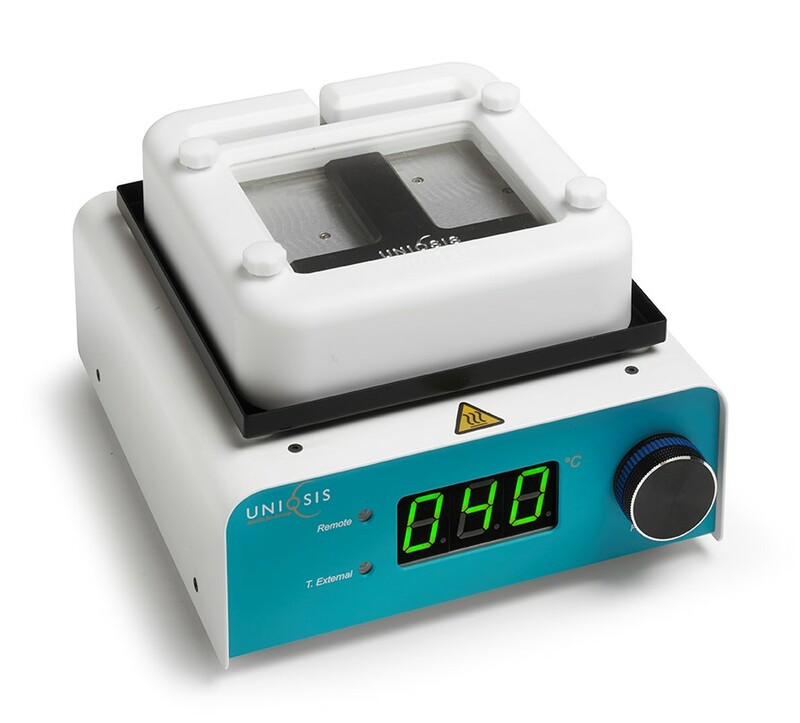 The HotChip™ module has the capacity to hold either two small static mixer/reactor chips for controlled turbulent mixing or one larger reactor chip for applications requiring longer residence times. The HotCoil™ module can be fitted with a wide selection of FlowSyn™ coil reactors, from small volumes for small-scale reactions to larger volumes for scale-up experiments or longer residence times. Both modules are based on the same high-quality components as the highly successful FlowSyn™ flow chemistry system, offering outstanding performance at an affordable price. 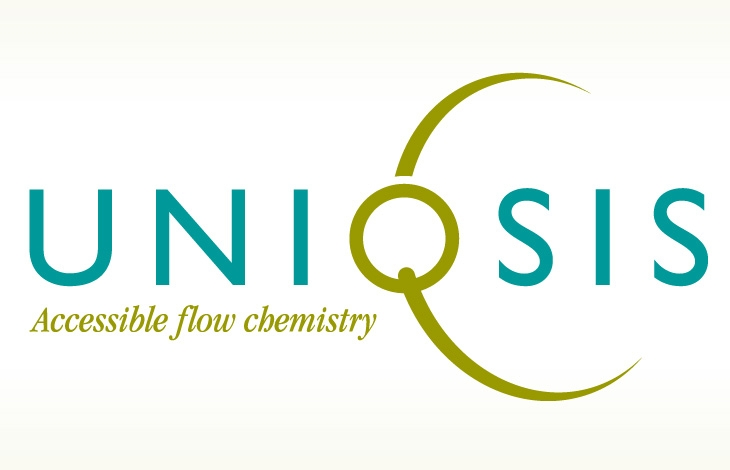 The two modules can enhance the capabilities of an existing FlowSyn™ or be combined with a separate pump to provide a modular flow chemistry system. 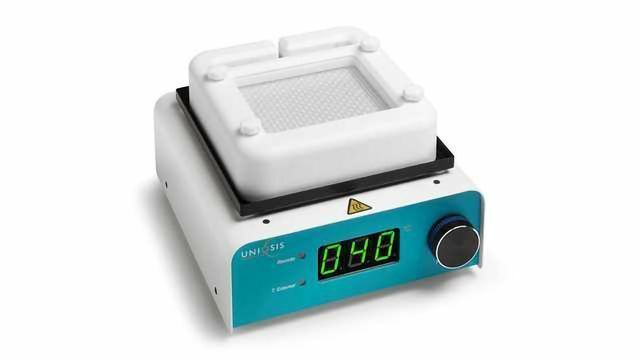 Dedicated Uniqsis control software enables full manual control via a PC and provides the ability to program a single automated experiment, run saved reactions automatically and monitor experiments in real time. 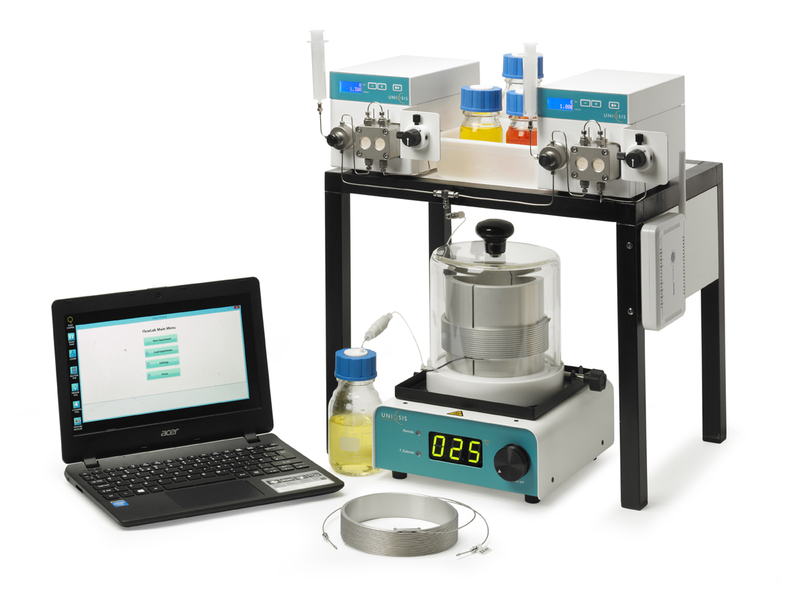 The modular FlowLab™ series provides all you need to run flow chemistry experiments easily and safely. Just add the reagents required for your particular experiments.